Florida is known as the citrus capital of the United States, even though oranges are a large crop in California, Texas and Arizona. The Sunshine State’s sweet orange juice and fruit used to be in such high demand and so difficult to transport that it was considered a rare splurge for northerners. Orange trees are the most commonly grown tree fruit, but aren’t native to Florida, nor have they ever been discovered growing in the wild in any part of the world. Instead, the state can trace its orange history to the Orient. According to Purdue University’s Department of Horticulture, historians believe the orange originated in southern China, northeastern India and maybe southeastern Asia. Italian traders or Portuguese navigators brought oranges to the Mediterranean region around 1500, where rich residents created “orangeries” for fruit consumption rather than medicinal uses. Sweet oranges were introduced to South America and Mexico in the mid-1500s, and it is presumed that orange seeds traveled from New Orleans to Florida via French settlers. It is presumed that orange seeds traveled from New Orleans to Florida around 1772. Early Florida horticulturalists found the area’s warm, humid climate, influenced by the Atlantic Ocean to the east and the Gulf of Mexico to the west, to be conducive to growing orange trees. 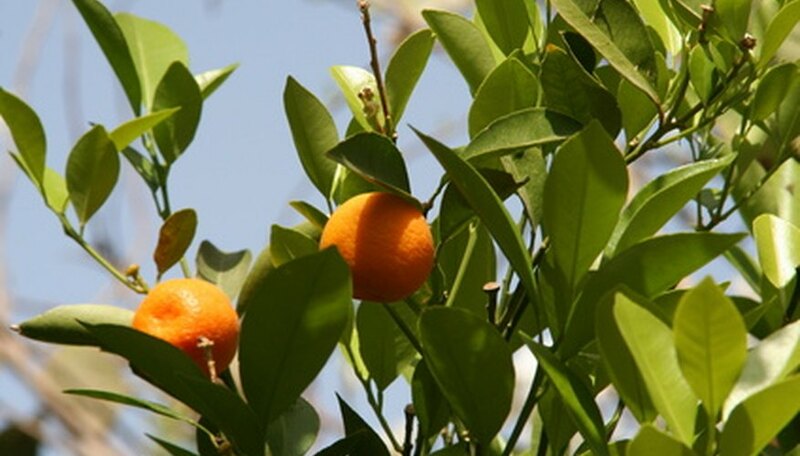 Groves were planted by grafting sweet orange varieties onto sour orange root stocks. The latter were being grown in St. Augustine since at least 1565, thanks to Christopher Columbus, who introduced sour orange trees and other kinds of citrus to Haiti in 1493. The sweet orange tree industry began to rapidly expand when the Spanish gave up their territories, including those in Florida that had many orange groves, to the United States in 1821. Groves that had been proliferating naturally were brought under control, and the fruit acquired a tasty reputation as visitors flocked to the Sunshine State. It took 400 years for Florida to turn orange trees into a profitable business. Florida oranges in the early 1800s were pricey, not only because they were rare, but because the country's infrastructure had no easy means of transporting them to other places where they were in high demand, like the northern states. The Transcontinental Railway changed all that, as did the subsequent development of refrigerated railway cars in the late 1800s. Florida’s orange industry suffered setbacks involving hard freezes that killed trees in 1894 and 1895, causing production to shift to other warm states in the West. Production bounced back to pre-frost levels after 1910. Periodic frosts continuously threaten and damage orange tree growth, but Florida continues to be the largest producer of oranges and juice in the United States, with more than 11,000 growers cultivating nearly 82 million trees and on 620,000 acres.